Massachusetts Drug and Alcohol Treatment Facilities. Are you looking for Massachusetts Drug and Alcohol Treatment Centers? Our listings listed below can help. Drug trafficking organizations with ties to Columbia and the Dominican Republic dominate the drug trade in Massachusetts. The drugs which pose the biggest threats to the state are heroin and cocaine. Most of cocaine sold in Massachusetts comes from New York, Georgia, Florida and Mexico. The crack cocaine sold in Massachusetts is generally reaches the state first as cocaine in its powder form and then converted into crack. Crack abuse is problematic mostly in the Boston area. Heroin is also available throughout Maryland. It comes mostly from New York but also from the Dominican Republic and Columbia, as well as the southeastern region of the United States. Methamphetamine is not huge problem. While it can be found, its use is not widespread. The primary groups of individuals who use meth are those between the ages of 18 and 25. Ecstasy is the club drug of choice. It is most popular amongst ‘ravers’, ‘clubbers’ and college students. Marijuana abuse is widespread as well. Most of it comes from the southwest region of the country as well as Mexico. Canada ships in hydroponic marijuana, a high-grade, high potency form of the drug. The abuse of the prescription drug Oxycontin has recently become problematic. Other prescription drugs which are commonly abused include Roxicet and Percocet. 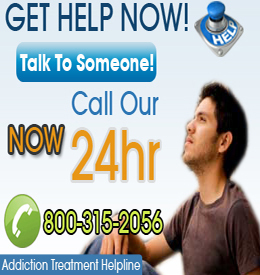 Choose a City to Find Addiction Help in Massachusetts.